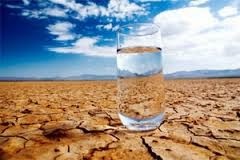 Water is vital for survival of humans, plants and animals in the world. Although water covers large percentage of the Earth, but water that is suitable for human consumption is very little. Water needs to be energy to process the water so that you can drink it. Fortunately, this is a list of ways to save water in your house. Bathroom uses 75 percent of the water used inside the home. Keeping the water on while you are not using can waste a lot of water. Turn the tap off when you are brushing your teeth, shaving mustache, washing your face and hands to save water. The sound of a dripping tap is very annoying and it wastes a lot of water. Some leaks are minor and it can be fixed by making minor adjustments. 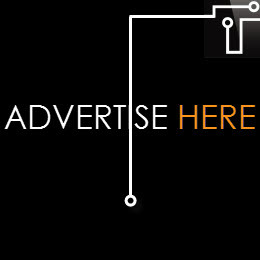 Check all your taps in the house so that it is working well. Imagine, a tap that drips at the rate of one drop per second will waste how many liters of water per day. A good way to save water in your garden is to water it on alternate days. Another way is to collect rain water to water your plants. If you water the plants in the middle of the day, evaporation will happen preventing 14 percent of the water from reaching the plants’ roots. For example, watering the plants in the early morning or evening can save water efficiently. The above tips are easiest measures to put in place to save water and money on your utility bill. We must save water today so, that water will be sufficient water supply available to future generations. 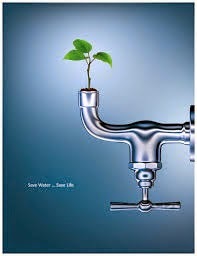 Water conservation should become part of everyday family practice as water is very precious to us. Hair, it could be your shining glory or the bane of your existence. Whatever your opinions are on your hair, everyone knows we want them healthy and lustrous. A good daily hair care routine is a must, but what about the food we put in our body? We should always remember that when we eat, we must eat for our hair as well. Here are some food that are known to be loved by our hair. Eggs are rich in biotin which is essential for hair growth and overall health of your scalp. People are busy finding products that are rich in biotin without actually knowing eggs are rich in that. So perhaps you don’t have to take all the supplements, just eat a balanced diet instead. 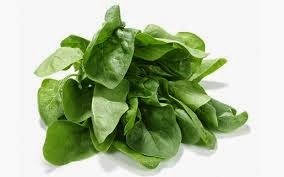 Not only this green is good for your body, spinach takes good care of your hair as well. This leafy vegetable is rich in folate and iron. Folate helps supply oxygen to red blood cells while iron deficiency can bring nightmare to your hair and yes, that consists of hair loss. So eat your spinach for the health of your hair. Why shouldn't you eat lentils? They’re jam packed with nutrients: protein, fiber, vitamin B1, iron- you name it. 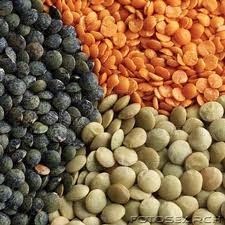 Lentils can also be cooked to your liking as they’re very versatile and have been a staple food for ages. Along with nuts and dried fruits, lentils contain much-needed nutrients that help moisturize hair and make it grow faster and thicker. 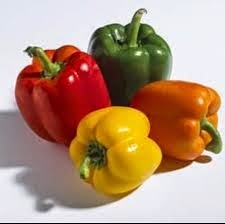 Bell peppers come in fun colours; red, yellow and green and they’re a delicious source of vitamin C which is essential for your hair. Vitamin C helps carry oxygen to hair follicles besides forming collagen for your hair to stay healthy and smooth. Oysters are a great source of zinc and protein which is really helpful when it comes to tissue growth and repair, including hair growth. Oysters also do a good job in keeping the oil glands around the hair follicles to work the way they’re supposed to. 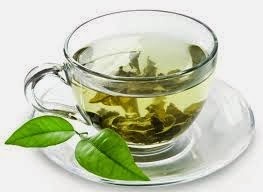 Green tea helps prevent the growth of DHT (Dihydro testosterone), which is known to slow down hair growth and cause hair fall. It’s also known to combat and cure common hair diseases such as dandruff by reducing inflammation. Besides being really delicious, salmon provides many nutrients needed for hair growth: protein, omega-3 fatty acids, iron, calcium and magnesium. Salmon helps to produce new cells and fight dry, dull and brittle hair.